Artificial Intelligence (AI) is increasingly becoming mainstream in many industries such as medical, sports, entertainment, and now the graphic design industry. This is both exciting and scary for designers and clients alike since the capability and consequences of AI are still widely unknown. Every day, researchers and innovative companies are discovering how AI can be used to automate and revolutionize design projects. Currently, there are intense conversations between designers and developers at top companies like 99designs for example, concerning the future impact of AI, Machine Learning, VR and AR, and their impact on the future of the graphic design business. AI is not the graphic designer’s enemy but a new friend. Happily, computers will not replace human designers. 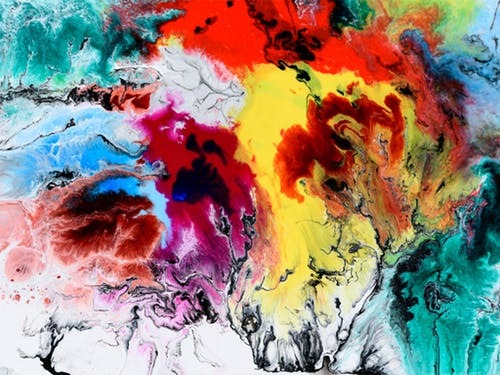 As technology expert and IBM CEO Ginni Rometty suggested, “the initials AI would be more helpful to artists if they were understood by designers as augmented intelligence, instead of the scarier-sounding artificial intelligence.” AI is best leveraged as a design tool helping augment the ability to optimize and speed art project completions. AI’s power lies in its speed to rapidly analyze large amounts of data and output alternative designs. These can then be reviewed by designers to select and improve the generated images. This increases speed, reduces costs, improves efficiency and creates multiple designs that can be A/B tested with different user groups for maximum marketing information, and ultimately sales. Using this new technology, designers can create images that would be impossible for humans to develop, making artificial intelligence an indispensable tool. The use of generative technology, aided by VR and AR, ushers in a new era of creativity enhanced, not destroyed, by technology. The ingenious merging of design and marketing is exemplified by Nutella’s marketing campaign in Italy. The synergy of AI, design, and marketing utilized AI’s ability to decipher, generate and print unique images. 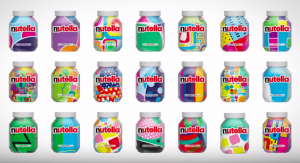 Nutella created 7 million one-of-a-kind jar designs for their Italian market. It was wildly successful, inspiring over 10,000 consumer videos and selling out every jar within 30 days. Another innovative example of AI “designing” products is when a race car was equipped by sensors that collected millions of data points detailing vehicle race performance. When this data was inputted into a AI design generative tool, the results were a custom-designed car chassis with maximum performance in changing road and weather conditions. Artificial Intelligence vs Machine Learning – AI is the use of computers to do tasks that previously needed the human mind, such as speech recognition, decision-making, language translation, and visual perception. Machine learning is the use of algorithms, a set of rules and processes, to manage data. Machine Learning vs Deep Learning – Machine learning is considered a subsection of AI because it allows software apps to be more precise in predicting outcomes. Deep learning is a subsection of machine learning which is attempting to create the most human type of AI. VR (Virtual Reality) vs AR (Augmented Reality) – VR is computer-generated simulations of real-life environments. AR is real-world capture of physical environments which is then “augmented” by computer-generated input.